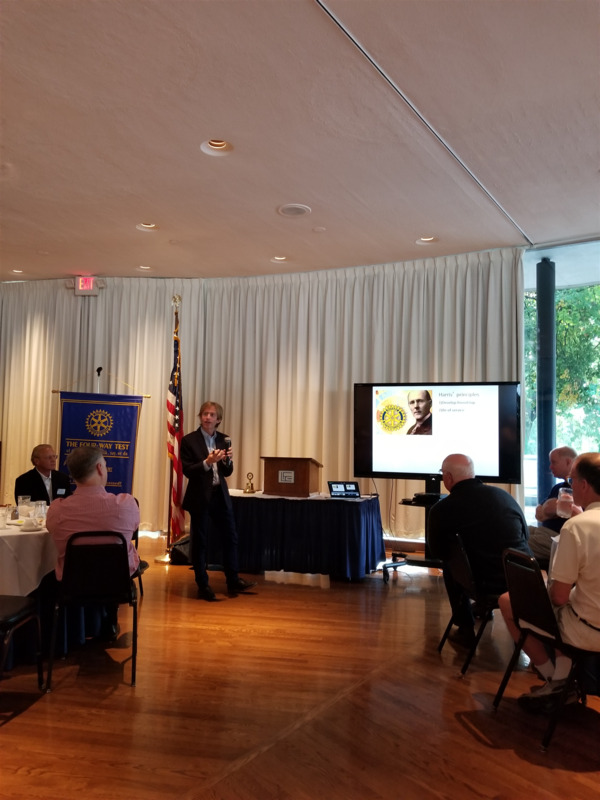 Dr. Robin Nusslock, Department of Psychology, Northwestern University, presented a topic at the core to Rotary: How Friendship and Service affect our Brain and Health. Dr. Nusslock examined how Rotary Founder, Paul Harris, used these principles that we instill. 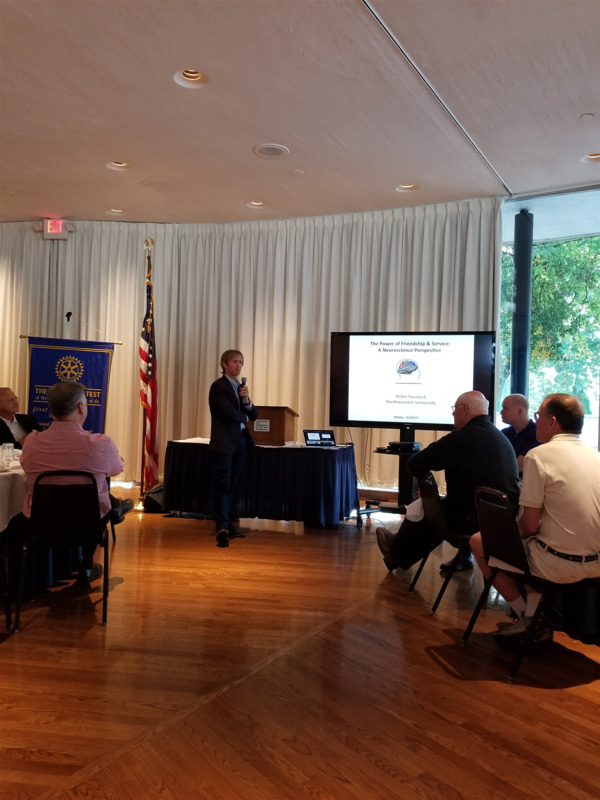 Dr. Nusslock explored many facets of interaction with the conclusion that the only way to lead a healthy and fulfilling life is to Join Rotary! Son of our very own, Cary Nusslock, proving science can be simple.